"Deep peace of the running wave to you. Deep peace of the infinite peace to you." SOMA Movement Studio was born out of desire to inspire and to guide anyone to move more mindfully and to move more often. The Yoga Program at SOMA Movement Studio welcomes anyone who wants to experience the centering, meditative, and physical benefits of a Yogic practice. Visit our Class Description site for more details. Our team of Yoga teachers are all passionate, accomplished, and dedicated to creating the best experience possible for everybody, and every BODY! 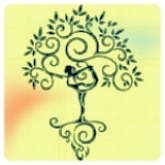 Check out our yoga tutorials! All Yoga classes at SOMA Movement Studio fit into two class categories. Our regular weekly classes are Tier One pricing or workshop style classes which are Tier Two pricing. You can always combine Yoga with other forms of mind-body fitness and cross-register for Pilates, Barre, Dance Fitness, or Somatics using the same class package. See our Rates and Class Description pages for complete details. Contact us for Private Individual or Private Group rates at 860-470-6683 or via email at info@somamovementstudio.com. Jackie MA, RYT-200, completed her Yoga Alliance training at Sacred Rivers Yoga under the direction of Paula Scopino. Jackie firmly believes that yoga is for everyone and provides gentle classes for calming the mind, strengthening the body, and nourishing the spirit. She is professor emeritus of early childhood education and shares yoga with colleagues, students, and young children. Sharon is a 2006 graduate of Kripalu's teacher training. She has studied with many nationally known teachers and has been especially influenced by Sarah Powers, Tias Little, Anna Forest, Todd Norian, Kofi Busia, Michael Carroll (Yoganand), Richard Faulds (Shobhan), Jonathan Foust (Sudhir). She has assisted yoga and meditation workshops at Kripalu and her teaching strongly reflects Kripalu's emphasis on breath, relaxation, and self acceptance. Cara is a 2015 graduate of West Hartford Yoga’s 200-hour Yoga Alliance teacher training under Barbara Ruzansky. Teaching yoga has helped Cara maintain a sense of community and she wishes to share that community with her students. She offers a powerful Vinyasa flow. Warming up with slow mindful movements, attention on breath, and flowing into strengthening standing asanas. Cara’s goal is for her students to leave feeling powerful, open hearted and clear-minded. We each look forward to meeting you in class soon! See our Instructors page for other studio class instructor bios. Kosha: Casing. Envelopes that surround the transcendental self. Nirodha: Restriction. Mental absorption in an object. Niyama: Observance. Practices of self restraint. The second limb of Patanjali's eight fold path. Tapas: Austerity. Glow/Heat. Penance, an ingredient of all yogic approaches with the transformation and self transcendence. Ojas: Vitality. The subtle energy produced through practice. Prajna: Wisdom. The opposite of avidya. Pratyahara: Sensory inhibition or withdrawal. The fifth limb of Patanjali's eightfold path. Samadhi: Union. The ecstatic or unitive state in which the meditator becomes one with the object of meditation. The eight and final limb of Patanjali's eightfold path. Samskara: Activator: Subconscious impressions left behind by each act of volition, mental, and emotional patterns that make up our conditioning.